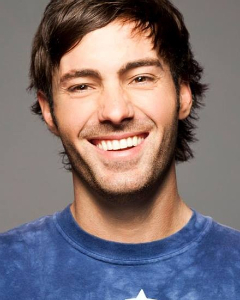 JEFF DYE is an extremely talented comedian/actor who is the host of MTV’s hit prank show, “MONEY FROM STRANGERS” with Season 2 premiering on Thursday, July 18th at 11pm ET/PT and also currently stars in MTV’s popular spinoff show “GIRL CODE” as well. In addition, Dye has hosted MTV’s “NEW YEARS COUNTDOWN LIVE FROM TIME SQUARE” with Snooki and JWoww which was watched by over 3 million viewers and appeared on the premiere of TBS’ “WHO GETS THE LAST LAUGH” (with Bill Bellamy and Kunal Nayyar) this past April. You may have seen him on COMEDY CENTRAL’S LIVE AT GOTHAM, his own half-hour comedy special “COMEDY CENTRAL PRESENTS JEFF DYE”, his MTV show “NUMBNUTS”, Host of ABC’s “EXTREME MAKEOVER HOME EDITION” and as a finalist on NBC’s Emmy nominated series “LAST COMIC STANDING”. He previously won the Giggles 10th Annual Laff-Off in his native Seattle, and was selected to perform at the prestigious JUST FOR LAUGHS FESTIVAL in Montreal and the upcoming CABO COMEDY FESTIVAL in October.